Servicesat's WX Series antennas stow in a folded position, for easy transportation, on the roof of emergency vehicles, trailers, tour buses and vehicles. Made with the strongest and most rugged actuators in the industry, WX Series antennas are built for maximum reliability, in extreme environments. The fully-integrated, two-way controller features single-button operation without requiring an external PC. The Controller is rack-mountable and the built-in DVB receiver and GPS means that Servicesat's Two-Way Controller works on most platforms, available in the industry, including HughesNet™, iDirect, Comtech®, and Nera. 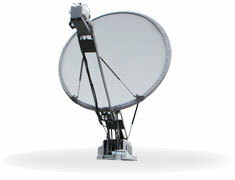 Servicesat's SPA Series antennas are economically priced, fixed-pole mounted communications satellite antennas. 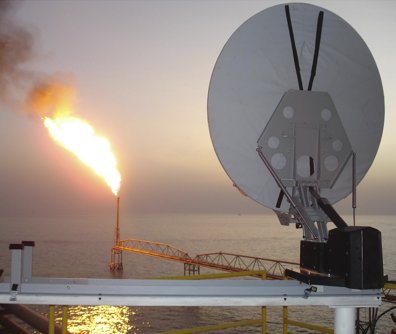 The SPA Series is the choice for oil and gas services, remote location facilities, emergency and disaster response teams and governmentor rural services. The fully-integrated two-way controller features single-button operation without requiring an external PC. The Controller is rack-mountable and the built-in DVB receiver and GPS means that Servicesat's Two-Way Controller works on most platforms available, in the industry, including HughesNet™, iDirect, Comtech®, and Nera. 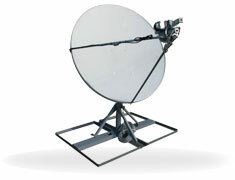 Servicesat's FlyAway Series antennas are economically priced, fly-away communications satellite antennas. The SPAFA Series is the choice for remote location facilities, emergency and disaster response teams and governmentor rural services. The Controller is very compact and the built-in DVB receiver and GPS means that Servicesat's Two-Way Controller works on most platforms available, in the industry, including HughesNet™, iDirect, Comtech®, and Nera. 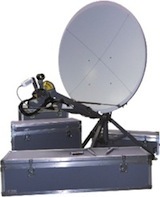 Servicesat's SF Series antennas are the toughest, highest quality, lowest cost, auto-deploy satellite antennas in the market today. 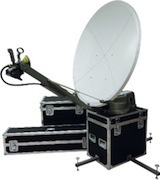 Servicesat's SF series antennas offer a very small vertical stow footprint and are capable of pointing at any satellite with an accuracy of 0.1 degrees in less than 2 mins. The antennas stow into a folded vertical position for easy travel, on top of trailers, emergency response units, oil rigs and for many other applications. Made with the strongest, most rugged actuators in the industry, the SF series antennas are built for maximum reliability. 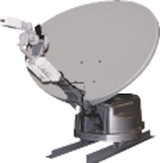 The SF series antennas are available in 0.75M, 0.84M , 0.98M and 1.2M versions and are integrated and tested with all common satellite modems offering flexibility and scalability for the emergency, energy and enterprise markets.